What makes ”Sealed With A KISS” arguably a cut above the rest is the personal feel of the book. It’s like looking at an insider’s personal scrapbook from the ’70s. And the photos. Criss’ book contains more than 1,500 images, offering fans a unique time capsule of a most magical period in KISS’ history as well as some great never-before-seen images from the unmasked era. Coupled with the text, it’s as if you’re right alongside Criss on not only her personal journey, but KISS’ rocket ride to superstardom. 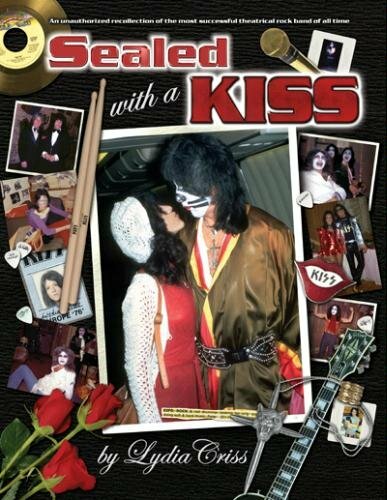 Originally released in 2006, not surprisingly ”Sealed With A KISS” ultimately sold out of its first printing. While Criss released an ebook version last year, fans’ best opportunity to land a physical copy is by scouring eBay, where copies run anywhere from $100 to $300. But that’s about to change with the second printing of ”Sealed With A KISS,” which is set to be available in June. KissFAQ caught up with Lydia Criss to put her book back on the table and discuss the second printing, as well as a potpourri of KISS topics.